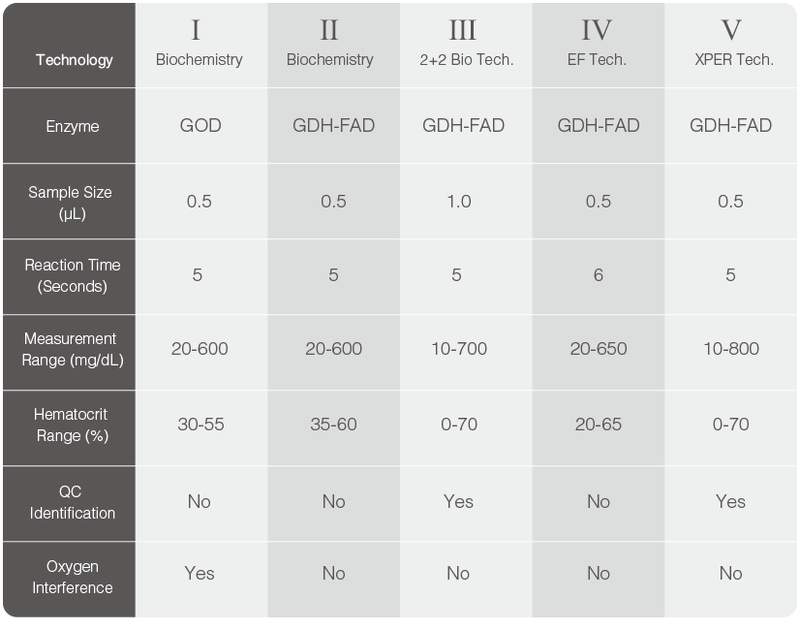 TaiDoc focus on 4 core technologies – Medical Electronics, Biochemistry, Photometry and Software Programming. 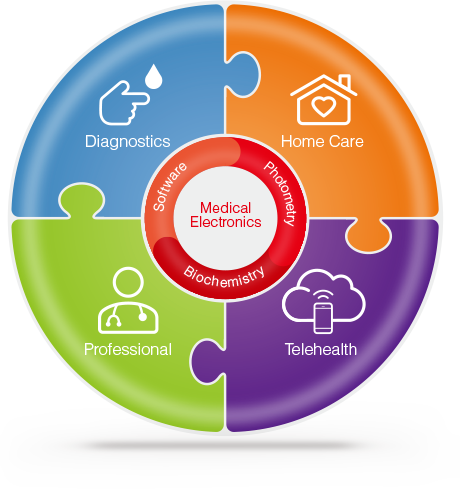 We utilize our core technologies to develop products in Diagnostics, Home Care, Professional Instrument and Telehealth. Based on the advanced electronics and IT capability in Taiwan, TaiDoc develops minimized and user-friendly medical devices. 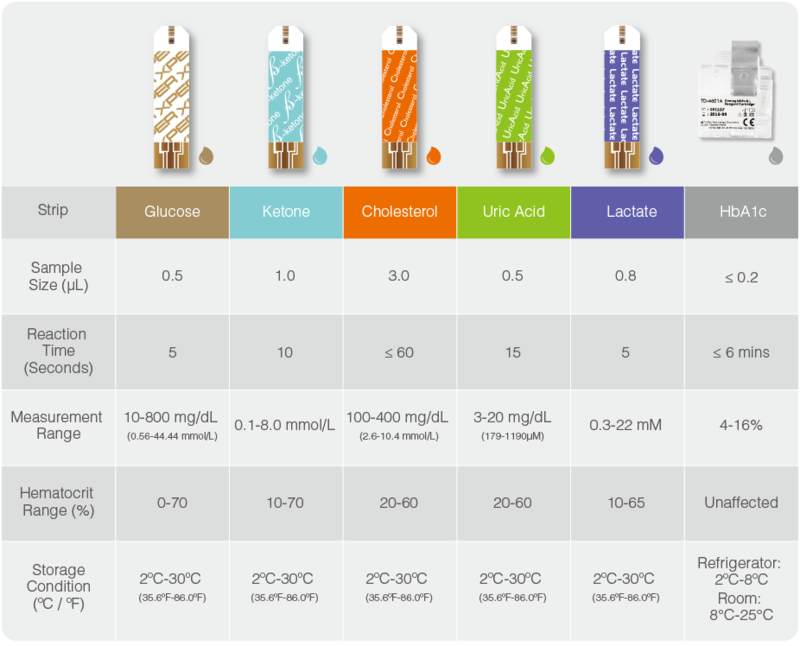 TaiDoc provides accurate quantitative results in terms of test strips and cartridges for bio-signal detection. TaiDoc employs Photometric technology to develop devices for qualitative and quantitative measurement. TaiDoc develops the vertical software integration to link personal health data with smart phone application and telehealth system. XPER, golden coating and laser engraving combine with 2+2 bio signal are the techniques to perform the stability, accuracy and measurement results. 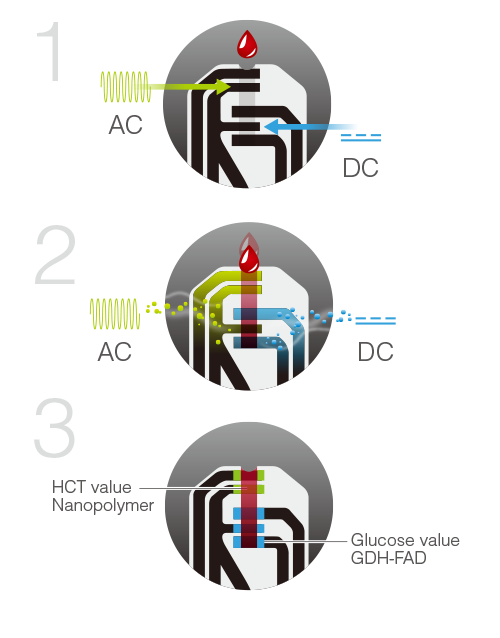 TaiDoc patented the 2 + 2 (2 enzymes plus 2 signals) technology, which uses two different wells on the strips to detect HCT value by AC signal and glucose value by DC signal. 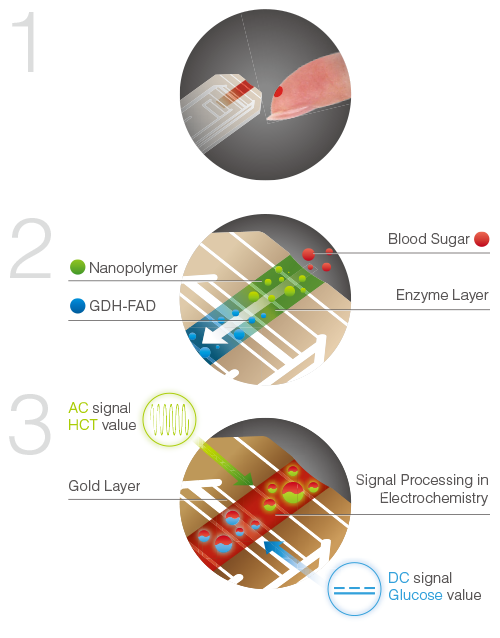 EF ( Electricity Fractionation ) technology utilize the negative charge characteristic on cell surface to separate blood cells from plasma for further estimation of hematocrit value. Positive and negative charge will be created after applying blood sample. Blood cells will be attracted to positive electrode. 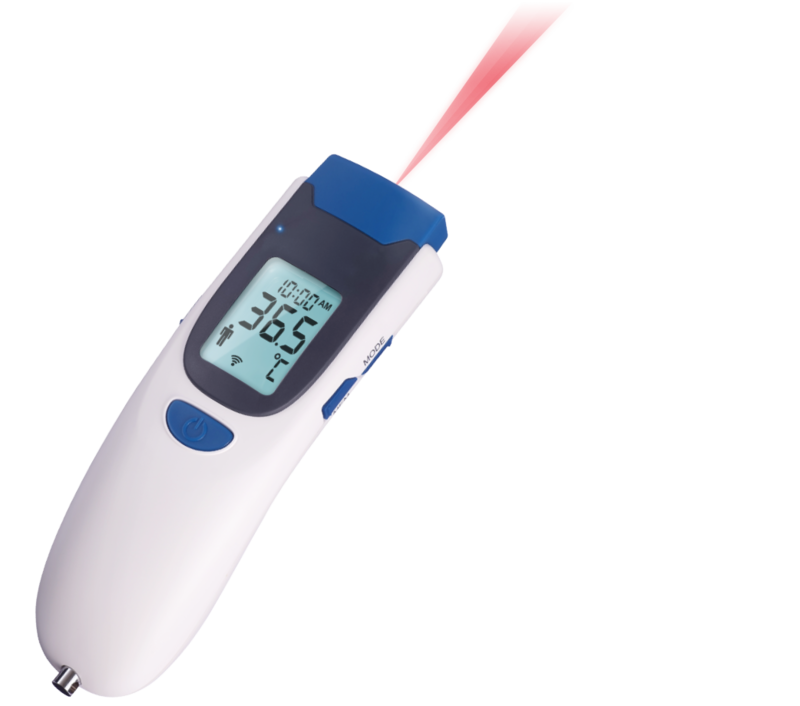 The meter could simulate a hematocrit free condition from plasma phase and further estimate the HCT value to compensate the blood glucose value. TaiDoc has developed 5 generations of test strip with different level and fulfils the accuracy requirements of ISO 15197 : 2013 & EN ISO 15197 : 2015. TaiDoc’s infrared sensor technology can directly detect the temperature to reduce the measurement error in detecting thermo-wave, which means the measurement has less interference from ambient temperature. Our experienced visual designers offer trustworthy support-to-product planning. By collaborating with engineering, implementation of ERP and conformation with ISO, a prompt sample is created, and packaging, marketing and support are made possible. 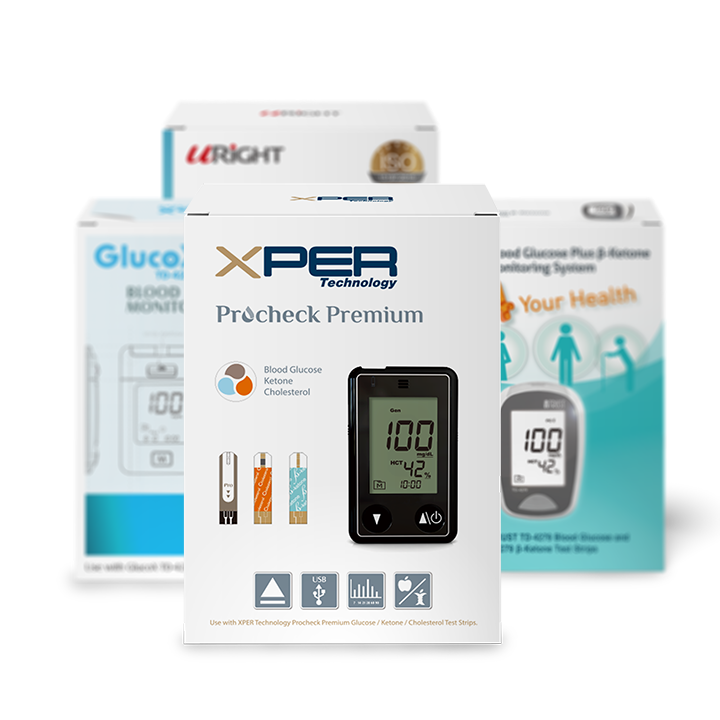 TaiDoc is dedicated to the development of unique technology and currently holding 159 patents worldwide for the IR thermometer, blood glucose meter, test strip, cardiovascular care products and more medical applications.